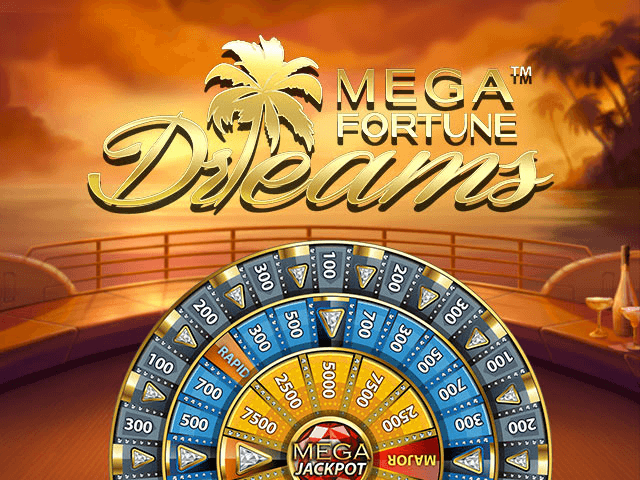 Of all the online progressive jackpot games, Net Entertainment has arguably been responsible for the most popular – Mega Fortune. Now, the game that spawned overnight millionaires now has a younger, fresher sibling – Mega Fortune Dreams. The young upstart’s player numbers are gathering pace, too, as gamers realise it's a genuine upgrade on the original in terms of looks and features. We should also mention this upgrade has already paid out a €4,009,504 progressive jackpot to a lucky gamer who only had six spins. If you're seeking a jackpot to chase, this five-reel, 20-payline beast should be on your hit list. Mega Fortune Dream has a 96.4% return-to-gamer level – that's pretty solid. Play Mega Fortune Dreams for Real Money! Just like the classic Mega Fortune, NetEnt's upgraded Dreams version takes you aboard a luxury boat to schmooze away with the mega rich. 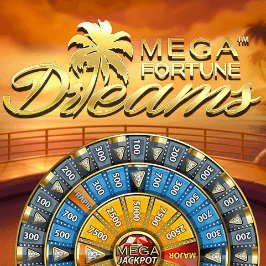 However, times have moved on and launching Mega Fortune Dreams treats you to a slicker, fresher, better-looking slotscape – set in a stunning exotic location. The graphics and animation have simply gone to another level – the clinking champagne glasses when you trigger the bonus game with the scatter is a particularly classy touch. Stepping aboard the slot showers you in luxury reel symbols, including wild palm trees, diamond rings, designer watches, silver clutch bags, champers on ice, cocktails and sparkling A, K, Q, J and 10 jewels. 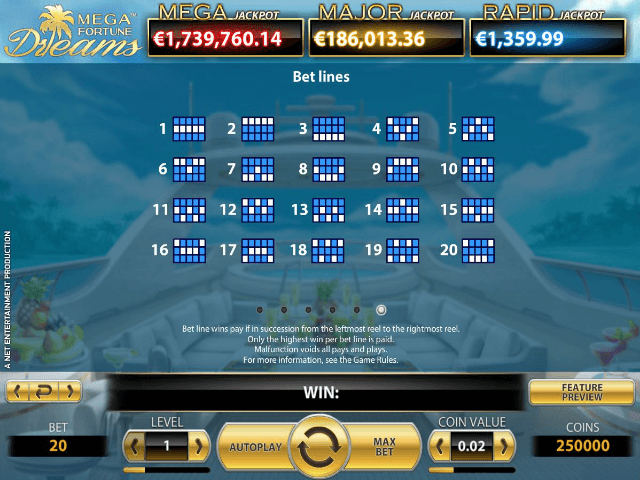 In addition to a wide range of high and low base-game payouts, Mega Fortune can treat you to free spin multiplier bonuses, wild rewards and the big one – entry to the progressive jackpot wheel. 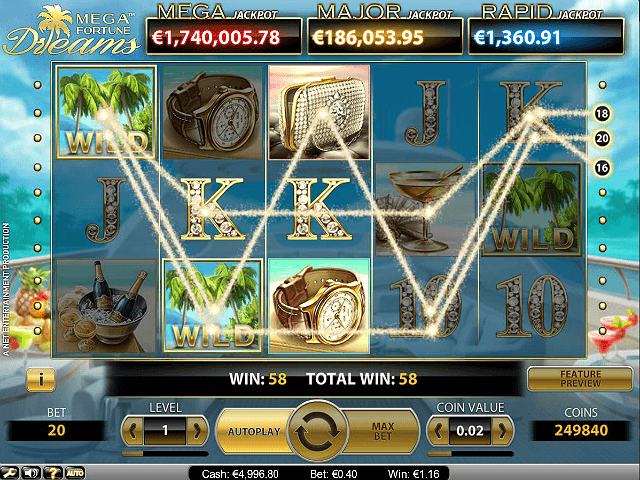 Your free spins start with a x3 multiplier, but can rise to as much as x10 if you collect more scatters (result). And now to the big one – the real reason you want to play this baby: the progressive. To stand a chance, you need to first stop three or more bonus icons on the reels – this launches the bonus reel. It's the same setup as in the original game, it just looks prettier. If you manage to click your way to the centre of the reel, you could win the rapid, major or mega progressive – don't worry, we'll ring your boss. Share this Mega Fortune Dreams Review today! 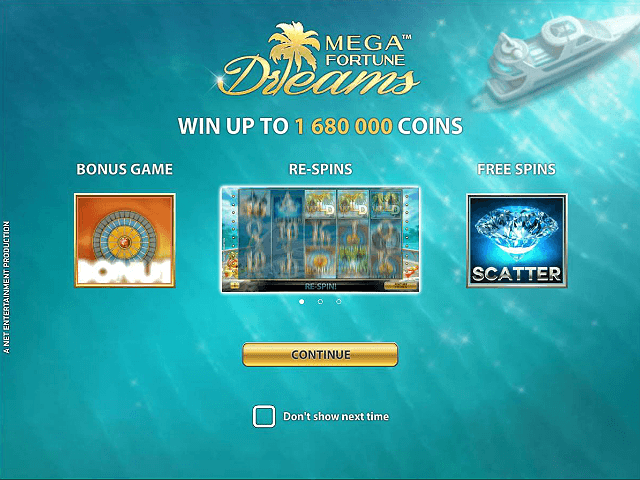 If you like Mega Fortune Dreams, you'll love these slot titles too!